The author continues to use her skills in fiction writing for a purpose: to provide inspiration and a sense of hope to her readers. 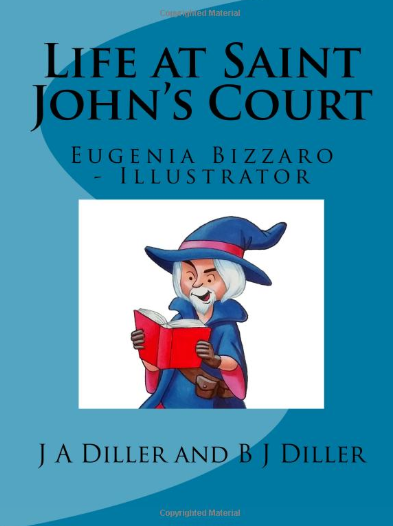 The book is written with the help of the author’s son, B. J. Diller, illustrated by Eugenia Bizzaro and self-published through CreateSpace. “Life at Saint John’s Court” is part of Beyond Life series of books, which is named after the fantasy’/paranormal novel inspired by the dreams the author had after the death of her oldest son. The series addresses issues that affect young people such as depression, self-image, bias, and bullying, and the author deals with them in ways that are both non-threatening and highly entertaining, hoping to use the aforementioned issues as catalysts for growth. Order J.A. Diller’s “Life at Saint John’s Court” today through Amazon. The illustrated children’s book will soon be displayed at the upcoming Los Angeles Times Festival of Books on April 13-24, 2019 at the University of Southern California in Los Angeles, CA.